A fun wizard greeting card for the magical man or astronomer in your life. 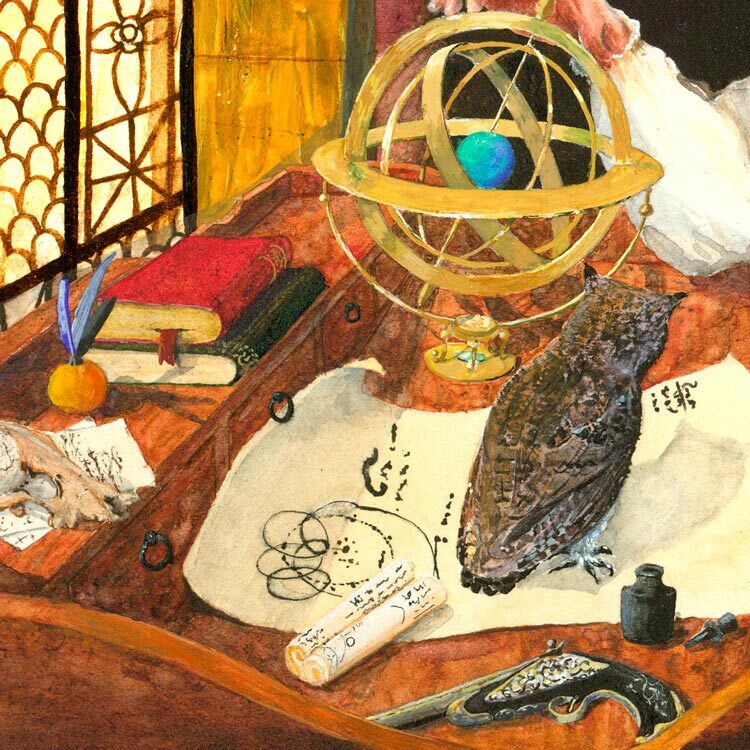 From the painting “Armillary Sphere” by Jen Greta Cart. It’s interestingly rennaisance and off-beat, and you’ll have fun trying to guess the story behind this unusual group of friends. 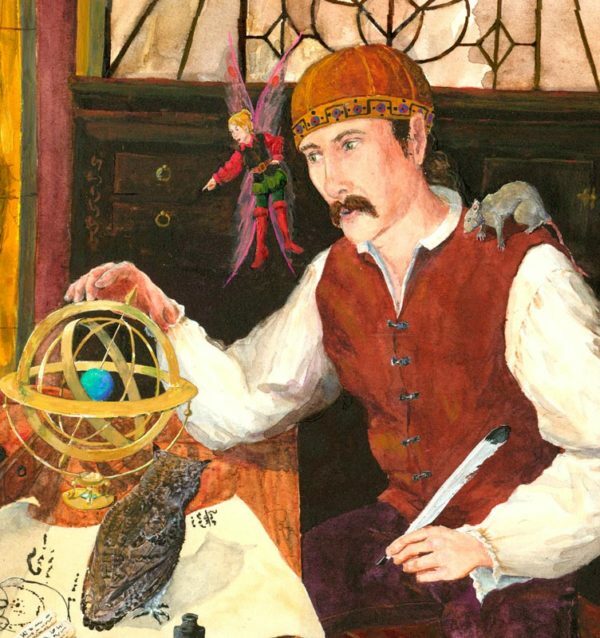 A wizard, a winged, tall booted tomboy fairy, an owl, and a faithful rat make calculation with an armillary sphere. That’s a model of the celestial globe constructed from rings and hoops representing the equator, the tropics, and other celestial circles. 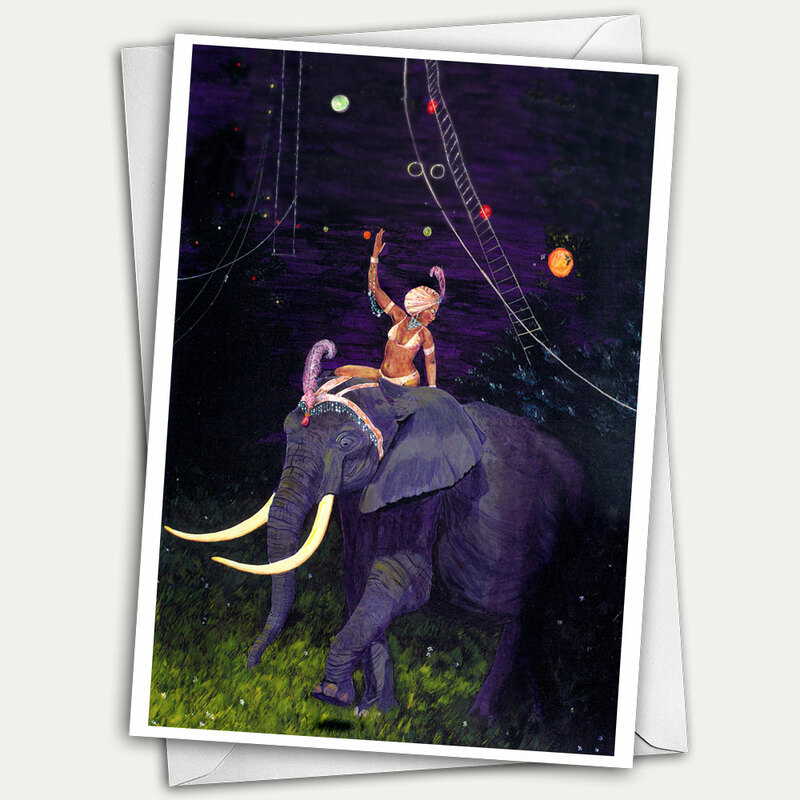 There’s free shipping on this blank fine art card. It’s printed on heavy acid free stock with archival inks, making it perfect if you want a small fantasy print to frame. Wizard Greeting Card with fairy, pet rat and helpful owl. 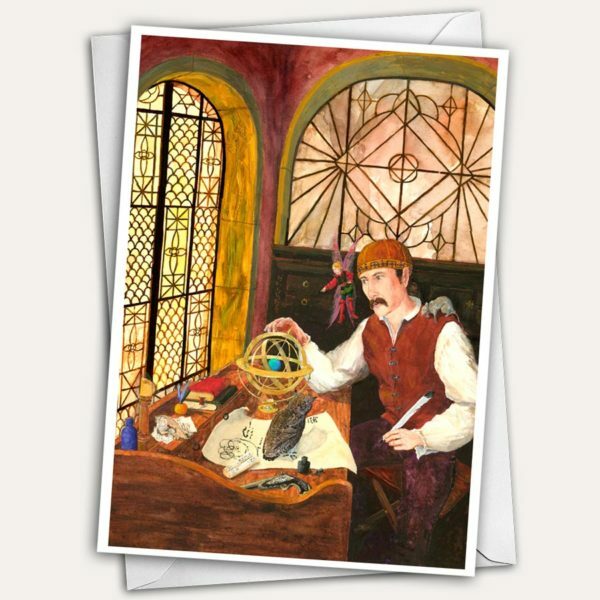 This fine art blank greeting card titled “Armillary Sphere” depicts a scholarly late renaissance astronomer-wizard using an armillary sphere. It can be hard to find a beautiful greeting card or birthday card for a man or boy. This fun fantasy is sure to please. His inlaid antique pistol lying on the desk adds a dash of danger. while the amber and green stained glass windows, antique desk, leather bound books and quill pen add atmosphere and mystery. 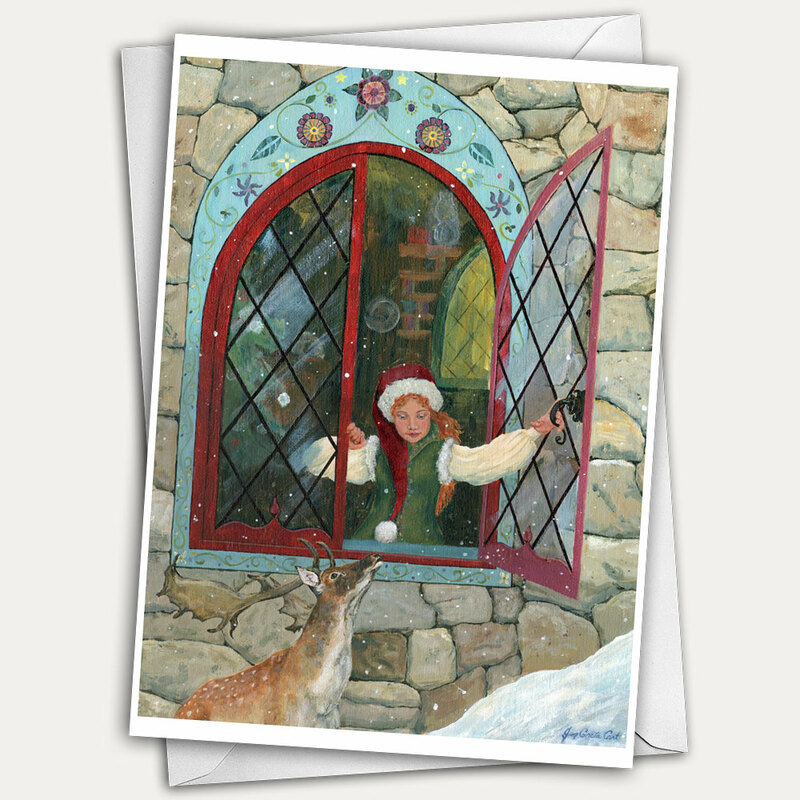 This wizard greeting card is fun for scientists, astronomers, antique buffs and fantasy lovers. What’s an Armillary Sphere? It’s a model of the celestial globe constructed from rings and hoops representing the equator, the tropics, and other celestial circles. The wizard and his pet rat, feisty fairy friend, and helpful owl are making calculations together. My husband and my daughter modeled for the wizard and fairy. The desk is mine! The stained glass windows, sadly, are imaginary. But the heavy wooden candle stick still lights our dining room. You can frame it as a fantasy art print, because it’s printed on acid free heavy stock with archival inks, and looks fantastic in a frame. 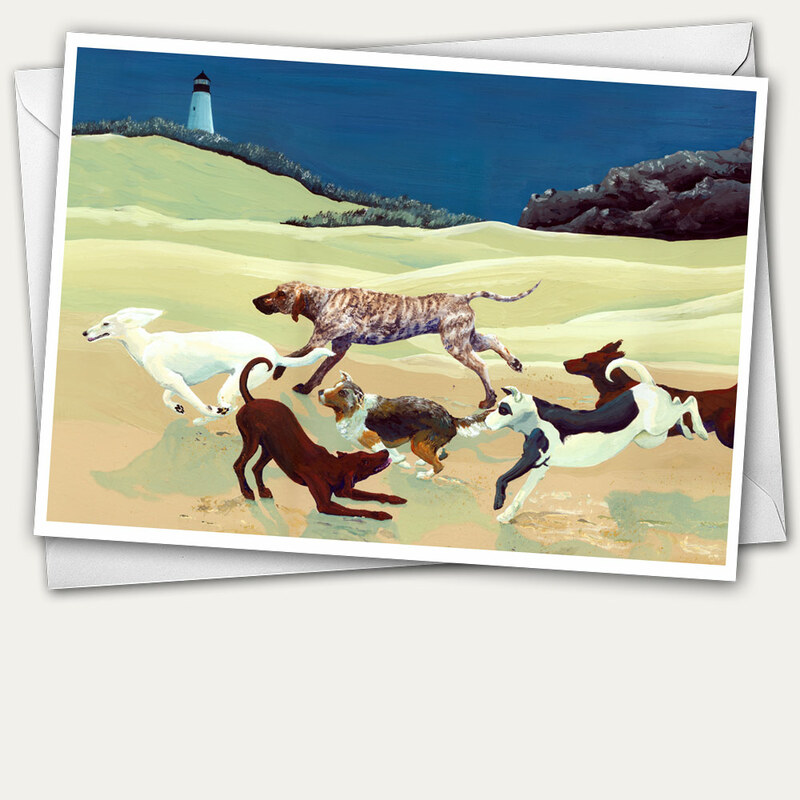 Also, take advantage of free shipping on all the greeting cards at JenGretaCart.com.